If you’re interested in computing technology, you’re probably already quite familiar with the term “solid state drive.” Solid state drives, or SSDs, are a fairly new hard drive technology that stores your computer’s data on a stationary flash medium, rather than on a rotating disk like old HDDs. SSDs are exceptionally fast, able to achieve data read and write speeds hundreds of times faster than HDDs, and are also more mechanically reliable since they contain no moving parts. However, as a relatively new technology, they are still prohibitively expensive for many functions. If you’re interested in upgrading your hard drive to an SSD, though, you have several options to reduce cost. The first option is simply to wait. As with most new technologies, SSD costs have been tumbling, decreasing by a factor of three over the past three years. 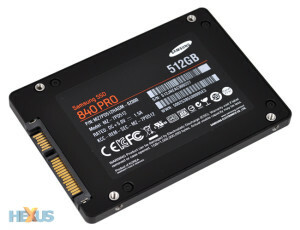 Currently, a 512GB Samsung 840 Pro can be had for $429 or a 256GB model for $214; these prices are sure to continue falling. If your computer’s boot time and performance are fine as-is and you’re on a tight budget, waiting to upgrade could be your best bet. If you’re using a desktop PC, a second option is to install a small boot SSD and keep the remainder of your files on a larger HDD. Putting your operating system and core applications on a 64GB or 128GB SSD will significantly decrease your boot time and application start time, while avoiding the prohibitive cost of a larger model. You can then store the rest of your files on your existing HDD and take advantage of the cheaper storage space. Unfortunately, this solution is only really feasible for a desktop PC; very few laptops have the physical internal space to accommodate an additional hard drive. Finally, a third option that will work for almost any PC is to upgrade to a fusion drive. A fusion drive is a single hard drive that contains a small SSD partition and a larger HDD partition. The drive firmware automatically moves your operating system and most frequently-used files and applications to the SSD portion, providing rapid access to the things you need most, and stores the rest on the larger HDD portion. Fusion drives offer read/write speeds that can approach those of an SSD under optimal circumstances for a significantly reduced cost. Additionally, fusion drives can be installed in laptops as well as desktop PCs, since both the SSD and HDD sectors are contained in a single drive enclosure and exposed to the operating system as a single hard disk. As SSD prices continue to fall, this exciting new technology will become affordable for more and more computer users. Here at Omnispear, we’re always staying on top of the latest technology to provide top-quality IT support to our clients. For quotes or inquiries, please don’t hesitate to contact us.